Jasmine Sanders made her way to the pink carpet this evening(August 20th) for the 2018 MTV Video Music Awards at Radio City Music Hall in New York. Turning to DUNDAS for the second time in a row, she wore a dress from the designers SPRING 2019 collection. 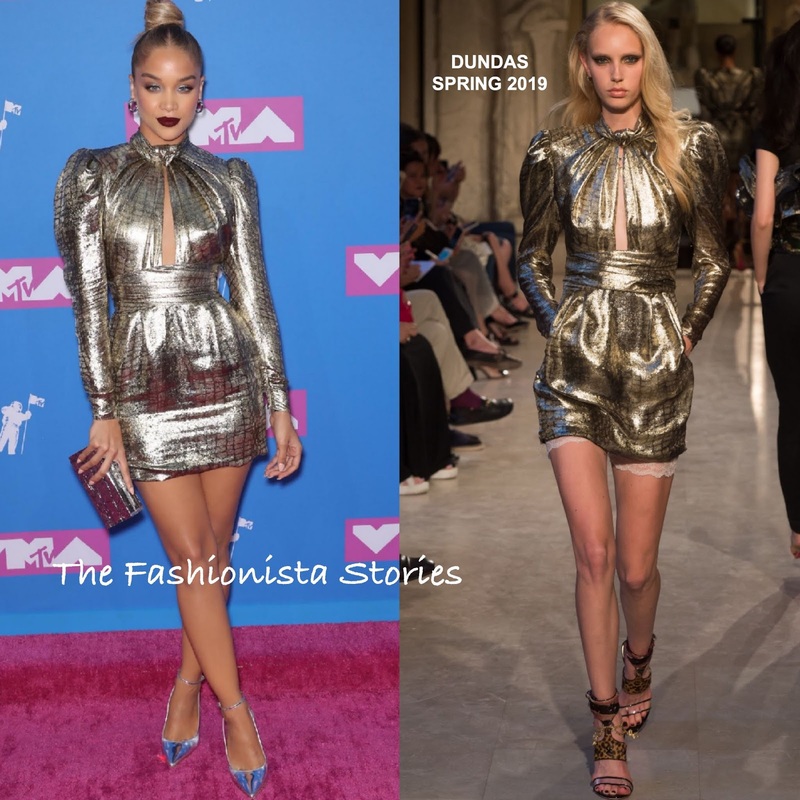 Her gold long sleeve metallic mini dress, featured a twisted, key-hole neckline. Jasmine teamed her mini dress with the BRIAN ATWOOD 'Lorena' metallic ankle strap pumps but I think a strappy sandal could have enhanced the sultry appeal of her look. A top knot, a vampy dark red lip and a metallic L'AFSHAR clutch topped off her look. What do you think of Jasmine's metallic look?